Hair removal has been performed by humans, since antiquity. In many cultures having body hair was considered dirty and primitive. Romans and Egyptians, for example, used to remove all their body and facial hair using sugar waxing or knives. Since then, we have come up with many more hair removal methods, here is a comprehensive list with their pros and cons. 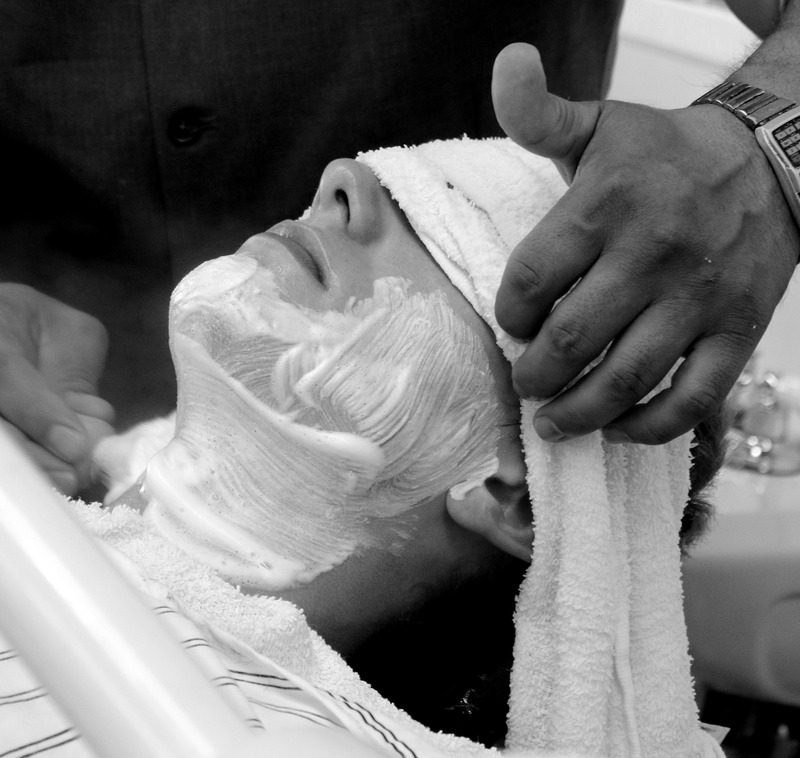 Shaving is one of the most popular methods of hair removal, specially for male facial hair. It removes the hair at skin level by using a sharp blade or razor. It can be done with different implements with the most effective being the barber knife because it gives you the closest shave. It is also the most risky for an inexperience user as it is very easy to cut yourself. Electric razors are great for a quick and safe shave. Disposable razors are now the most popular and offer a degree of protection against cuts and abrasion. Plucking each individual hair with a tweezer. Waxing is also a very popular hair removal method. Waxing uses a paste made out of resins which is applied hot and removed against hair growth. There are different kinds of waxes with the most popular being the strip waxing: a thin layer of wax is applied to the skin and removed by pressing a cloth strip on top and pulling it swiftly. Sugar Waxing or Sugaring is one of the oldest hair removal methods. It uses a natural paste made out of cooked sugar, water and lemon. The paste is spread on the skin using the hand and then pulled in the direction of hair growth. The hair is removed complete with root and sheath. Depilatory creams (they also come in various forms: gels, lotions, aerosols, and powders) are chemical preparations applied to the skin in order to dissolve the hair on the surface of the skin. Common active ingredients are calcium thioglycolate or potassium thioglycolate that break down the keratine in the hair. Epilators are electric machines that work by hooking and pulling a number of hairs at the same time. Hair growth inhibitor lotions and creams can decrease the amount of hair and thin hair overtime. It is used in conjunction with waxing or other depilation methods. In Electrolysis the therapist inserts a thin needle into the follicle which delivers an electric current destroying the root. Laser hair removal and IPL (Intense Pulsed Light) use a strong light beam to permanently destroy the hair follicle. Your sugar paste may be too runny. If you made the paste yourself it could be that you didn’t let it cook long enough, you can return it to the fire and let it boil for 1 more minute. In warm and humid locations you need to use a thicker/harder sugar paste – a paste that has been cooked for longer. If you are making your own sugar wax experiment with the cooking time allowing to boil for a few more seconds or minutes. If you are buying the paste you will find that most manufacturers carry sugar paste in different consistences, choose a harder one. Areas such as the brazilian or inner thighs tend to be hotter than the rest of the body and depending on your skill level you may need to change your sugar paste to a harder consistency one for that specific part of the body. If you are sugaring a large area or many body parts you may find that the consistency of your sugar changes and it may become harder to work with it. In some cases it may turn too hard and difficult to spread, specially if you are doing full legs or you have abundant hair and dead skin cells. You need to throw away the used sugar paste and get a new ball of sugar. However, sometimes it is the opposite that happens, the sugar wax becomes too sticky and difficult to flick. Again, the best solution in this case is to continue with a new ball of sugar. First of all check your flick-off technique because the problem may be in your wrist. Make sure you relax your wrist and flick off with your hand and parallel to the skin. If your wrist is stiff or you are stressed it may be more difficult to remove the sugar. You can try scooping a small ball of a thicker/harder sugar wax and spread it on top of the runny sugar. Now try to lift it off normally. If this still doesn’t work you may need to use a waxing strip (you can also use a piece of fabric) to remove the sugar. Press the strip firmly over the area, lift the edges on one side and pull following the direction of hair growth. If you are new at sugaring and are having difficulties managing the technique, you can spread the sugar thinly and use strips to remove it. Make sure that you follow the direction of the hair: spread against hair growth and pull in the direction of growth, otherwise you will loose the sugaring advantage. To remove sugar from your skin you can wash it off with warm water. Depending on the amount of sugar you have applied this can take you a while to remove and you may need to pop in the bath or shower to make it easier. Using a wax strip as above is much quicker. IPL and Laser hair removal are great hair removal methods because they cause permanent hair reduction of up to 98%. Specially if your hair is dark and you don’t suffer from hormonal imbalances, you should try laser or IPL. Prices are now so cheap that for only a few more dollars you can be rid of hair permanently. However, because of the growth cycle of the hair you need multiple treatments, about 6 to 8, and they are spaced every 6 weeks. So, how do you deal with the hair in between treatments? IPL and hair removal work by applying light energy to the melanin in the hair. This light gets transformed into heat and travels through the hair to the follicle, destroying the follicle. The hair needs to be attached to the root and in the Anagen stage (growing phase) for the treatment to be effective. In the body only about 15%-30% of the hair is in the Anagen stage at any one time. Treatments are spaced every 6 weeks because that’s the most favorable time frame. When you wax, sugar, or pluck your hair you are pulling the hair out from the root and disrupting the hair cycle. 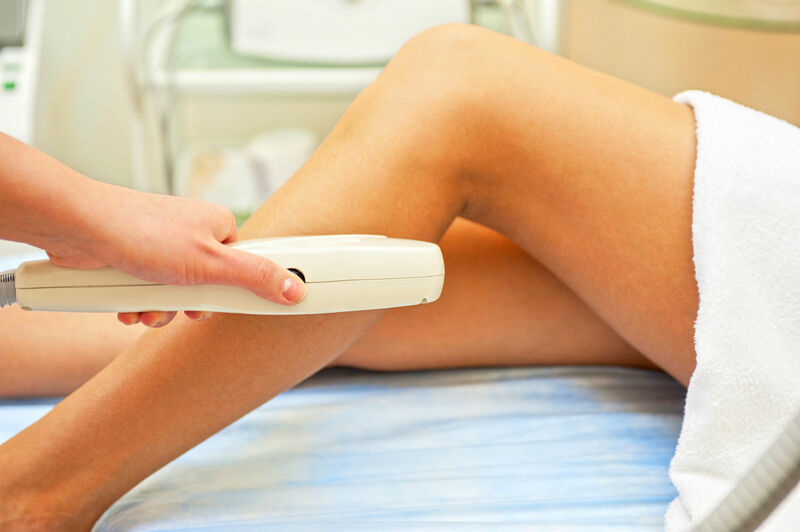 It has always been the view of Laser and IPL therapists that to get the best out of your treatment you should only shave in between treatments. If you shave, the hair will continue to grow going through the normal phases of Anagen (growing phase), Catagen (transitional phase) and Telagen (resting phase), and thus it can be predicted that a large proportion of hairs that were not treated the first time because they were not in the anagen stage, will be treated in the second and subsequent times. Lately, some manufacturers of the sugaring paste have been claiming that if you sugar every 2-3 weeks, after a few times, all your hairs will start growing at the same time, hence it can complement your IPL or Laser treatment. By having all the hairs in the Anagen phase, when you do Laser or IPL you will effectively be treating them all and may not need as many sessions, getting better permanent results. Unfortunately there are no studies of the effectiveness of IPL or Laser hair removal when combined with frequent sugaring and until then I would err in the side of caution. Unless you don’t mind the extra expenditure of additional IPL or Laser sessions if so happens the combination with sugaring doesn’t work, I would recommend you to shave in between treatments and wait at least 4 weeks after sugaring to start treatment. Body Sugaring hair removal can lead to permanency. Because sugaring lubricates the follicle and pulls the hair in the direction of growth, the hair comes out complete, with root and sheath. When the hair is pulled out regularly, in the early Anagen stage, over time the blood supply decreases and the hair becomes fine or does not regrow at all. Regular sugaring treatments, every 2-3 weeks, are required if you wish to achieve a permanent reduction. Make sure you don’t shave or use depilatory creams in between sugaring treatments. Everybody can benefit from sugaring, however some of us will appreciate it even more. Body sugaring is so gentle that not only you can sugar on top of eczema or psoriasis, but it actually helps to alleviate and even reduce the condition. With sugaring, besides removing the hairs, you are gently exfoliating the skin, removing dead cells and dirt from the mouth of the follicles. When you remove the accumulation of dead cells your pores unclog and the skin can breathe better. Sugar also has healing properties and when you are spreading the paste some of it sips inside the cells helping recovery. Unlike Waxing, Sugaring hair removal can also be done over varicose veins and sensitive skin. Body Sugaring is also ideal for people with a tendency to ingrown hairs. Most ingrown hairs happen because of clogged pores and hair breakage. Sugaring removes the hair from the root and in the direction of growth while at the same time exfoliating the skin, hence you get less breakage and less ingrowns. Waxes contain chemicals that can be harmful because some molecules are able to break through the skin barrier and penetrate deep into the cells. The sugar paste, on the other hand, is natural and has healing properties. Since antiquity, sugar has been used on wounds to promote healing and prevent infection. Because the sugar paste is used at body temperature, there is less danger of burns and unnecessary damage to the skin. People suffering from Polycystic Ovary disease or Hirsutism are able to be free of hair for longer with a treatment that won’t cause an overreaction of their immune system. For stubborn hair, if needed, the sugar paste can be used multiple times on the same area without lifting the skin or causing undue irritation. People with red, white or very light colored hair, for which Laser and IPL hair removal doesn’t work, find in sugaring the best alternative for epilation. Sugaring is specially good for removing facial hair. It is gentle, keeping skin irritation to a minimum, and does not cause breakage leaving the skin smooth for longer. It can also remove hair as short as 1.5mm, this is specially convenient if your facial hair is very obvious. Sugaring can lead to permanent hair reduction by following a simple routine. If you are sugaring for the first time, your hair will regrow at different times because of the hair-cycle, however if you continue sugaring regularly every 2-3 weeks your hair will start growing all at the same time, extending the hair free period and weakening the hair follicles. Sugaring can be made easier with regular exfoliation and hydration of the skin. Between treatments make sure you exfoliate the skin 2-3 times a week with a loofah or exfoliating mitten. Apply a moisturizer daily. It is best to use a water based lotion rather than an oil one. Drinking lots of water can also help with the skin’s hydration. Keeping your skin exfoliated and hydrated will prevent ingrown hairs. Ingrowns happen when dead cells build up in the mouth of the follicle. New hair may not be strong enough to break through this barrier being forced to grow back into the follicle or just under the skin’s surface. Ingrown hairs cause bumpy follicles and infections. Regular sugaring will also help remove ingrown hair by lifting up dead cells and dirt, thus clearing up the mouth of the follicle. Also, if your skin is hydrated and in good condition it will make the removing of the hair with sugaring much easier. Welcome to the Sugaring Hub. My aim is to make this site the best reference guide and online training school for anyone wanting to do sugaring on themselves and/or others. In the coming months I will be posting sugaring training videos for the different parts of the body. I will also post any related information that may help you become a better sugarist.